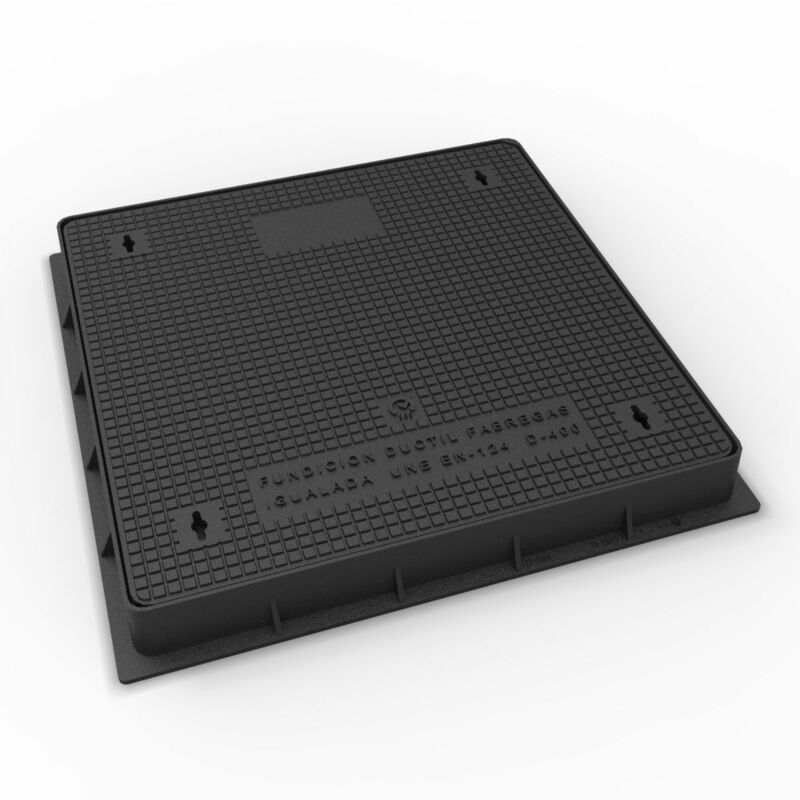 Manhole Cover 850×850 mm. And frame 900×900 mm. Hydraulic in ductile casting for 40 TM. Of breaking load. It conforms the standard UNE EN-124 class D-400.